Writing a story? In need of inspiration for a Scandinavian character? 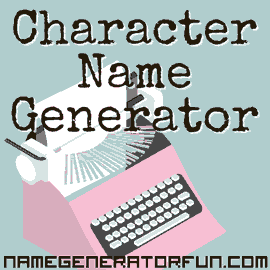 Then choose yourself a realistic and socially accurate name with our Danish name generator. Up until around 1870, the most common naming convention in Denmark was the patronymic surname, where instead of a family name, the first name of the fathers would be used to give the children a surname, combined with the suffix '–sen' for sons and '–datter' for daughters. As a result of this, names like 'Rasmussen' literally meant 'Son of Rasmus', while 'Jensdatter' would mean 'Daughter of Jens'. This obviously makes it very difficult to track families and genealogies across the generations, especially since this naming convention was used so commonly. While patronymic names were restricted by a Church order in 1828, it took the establishment of an official law in 1856 to 'freeze' the current patronymic names into longer-lasting family names that would be passed down from parents to children. Even then, there was much resistance to the idea, with patronymic names lasting in more rural areas of Denmark into the late Nineteenth and early Twentieth century. In 2006, a new law was passed that once again allowed patronymic names, although they are not expected to ever return to the same prominence they once enjoyed. In the old naming system, Christian Danish names were often chosen to honour a deceased family member (often going back two generations), and thanks to this the twenty most popular Danish names were spread across a large percentage of the population. There were certain restrictions with Christian names that were largely stuck to, however – first daughters would usually be named after the paternal grandmother, while second daughters would be named after the maternal grandmother (and the pattern would be repeated with sons and grandfathers). Babies could sometimes be named after older siblings who had died, while if someone lost a spouse and then married again, their first child of the new marriage would often be named after their deceased partner. Danish names were also affected by literacy. Until around the mid-1800s, the majority of the population of Denmark were either illiterate or had very poor levels of literacy, and names would often be spelled according to how someone thought it should be spelled, leading to a number of small but noticeable variants (like Christian/Kristian, Anne/Ane, Lene/Lena, and Catrine/Cathrine). As literacy levels increased, families would choose and stick with the particular spelling variant they had used, which means that most of these 'misspelled' names are still commonly used in Denmark today.